About 6 or 7 years ago two guys, Garett and John, who had become best friends over the Internet even though they'd never met, came together with a common goal. Both men were neon glass benders and both were looking for a better way to heat neon electrodes during processing. 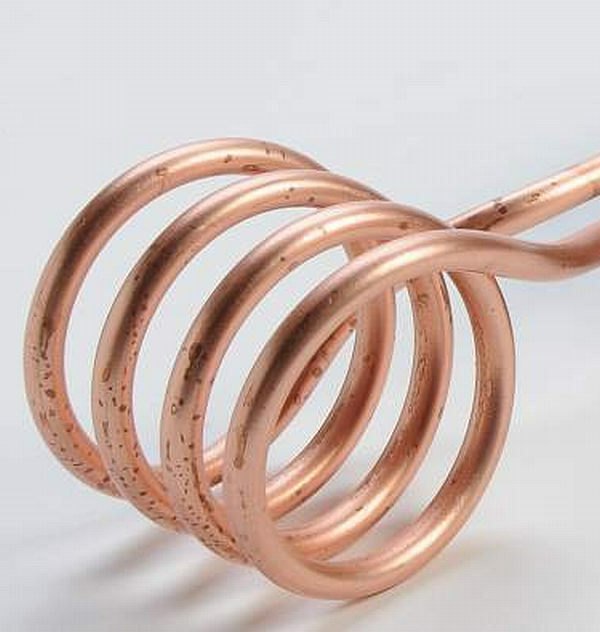 This is a necessary step and an induction heater is an ideal tool, as it will heat right through the glass. 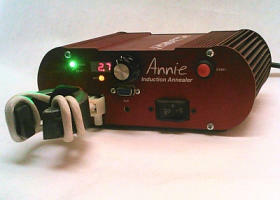 Garett had purchased a huge, heavy and very expensive induction heater from one of the established manufacturers. It didn't work very well but worse, if accidentally activated without a neon electrode in the work coil, it would blow a $400 SCR module. 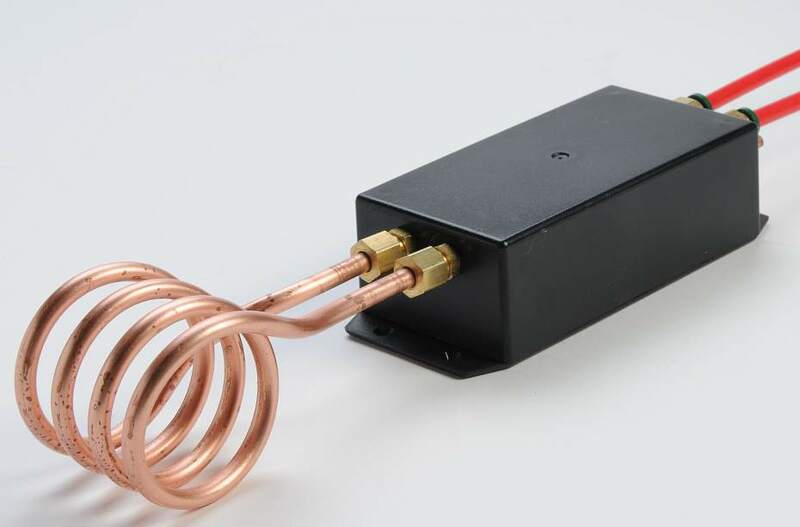 After replacing the module a couple of times, Garett approached John about building a better induction heater. John, being also an electrical engineer, said "sure, why not?" Garett asked John how much it would cost. John replied "Pay me what you think it's worth". A few weeks later, a working heater, nicknamed "Flash" because it could also flash getters, was delivered. Here was the beginning. This little heater started it all. John had become intensely interested in induction heaters and had read about a type of power oscillator called the Royer oscillator. So he found a schematic using tubes, modified it for using IGBT transistor and this resulted. We quickly realized the power of the Royer oscillator. It could heat anything metal, was very rugged and did not require tuning. John found little published information on the Royer oscillator so much of it was cut and try and SPICE simulation. A lot of hard work later and the first commercial Roys were realized. These units never made it past beta testing. We realized several things. The mighty 500 watts these units produced just wasn't enough. It was still too easy to damage the unit by, for example, shorting the output leads. But it was a start. Much more work and a huge amount of empirical knowledge gained later, the first commercial Roy was introduced to the market. This heater was a success. 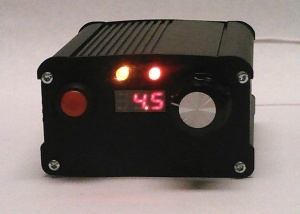 It had gained a microprocessor for control and protection and produced in excess of 1500 watts of heating power. The cooling problems had not been solved, however, so this was a fairly low duty cycle unit at full power - like a buzz-box welder. We put our heads together and decided that the thermal problem must be solved once and for all. So with John's help, Garett designed a whole new extrusion and found a company in China to manufacture them. A few minor mods later to improve the cooling even more and Roy 1500 became a 100% duty cycle machine, the one that you can buy now. 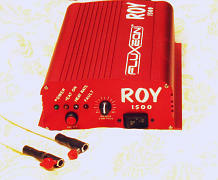 John realized that with just a few modifications, the Roy, when operated on 240 volts, could produce over 2500 watts. Thus the Roy 2500 was born. We guarantee 2500 watts but most will actually generate around 2750 watts before the protective breaker trips. The company grew rapidly but gradually Garett and John began to differ in their vision of where the company should go. So they decided to fork the company into an analog section, still known as Fluxeon and the digital products, manufactured by a new company, this company, The Tellico Induction corp or Tnduction for short. This superb little unit is designed for shooters who reload their own brass. It is used to anneal the necks of the brass cases. Here is the Fluxeon location. Tnduction has organized around a 3 person team. John, the Chief Engineer; Trish, the marketing and sales manager and Karen, the financial expert. With this superb team we expect the company to grow rapidly and to introduce some totally new and innovative products in the near future. As of this date, 06/22/2016, the combination of the chaos that surrounds the movement of a company and the product demand has caused demand to out-strip production. If you would like to secure yourself a place in line, you can place a pre-order from our store. Orders will be filled in the order received. We should have new product in a couple of weeks.